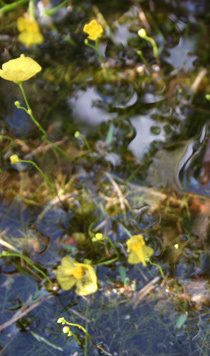 Aquatic, floating or terrestrial carnivorous plant that catches small organisms by a trap which opens and closes in less than a thousandth of a second. 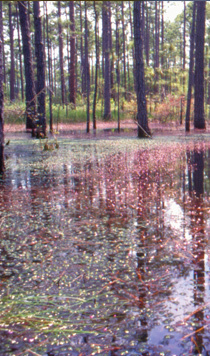 Ideal for black- water, slow moving ponds, acidic bog ponds, or terraria. 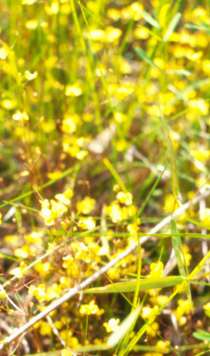 Terrestrial bladderworts sold as soil plugs under soil state restrictions. 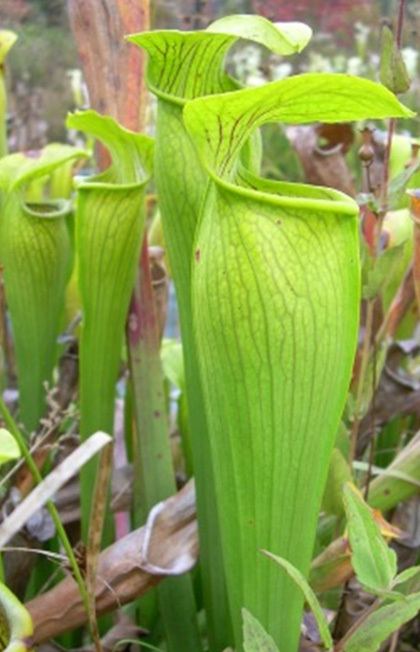 Do not order these plants if you are in a restricted state! 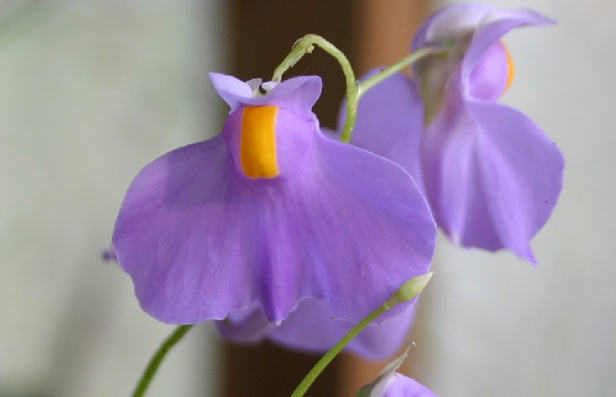 Tropical terrestrial - attractive white and purple flowers with small club shaped leaves. 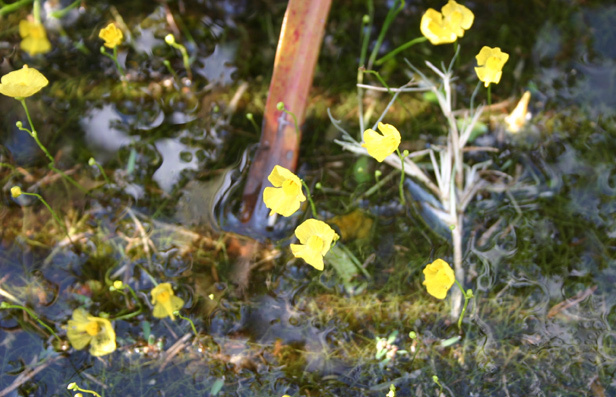 This bladderwort is grown in moist peat. 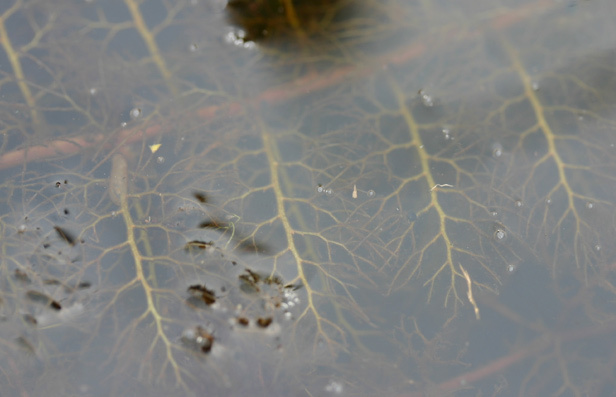 This bladderworts leaves can reach up to a meter long, hence the name longifolia! 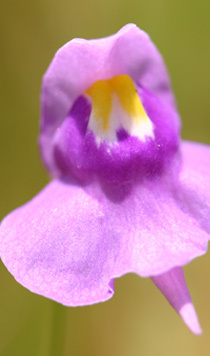 Flowers are attractive purple with white and yellow in the center. 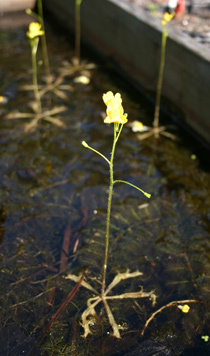 bladderwort with flow-er stalk ranging from 5 - 25 cm. 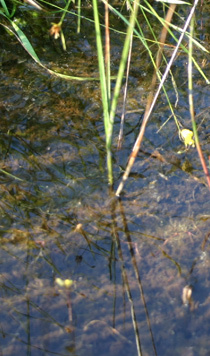 Simul-taneously produces closed (underwater) and open (above water) flowers from the same node. Only shipped May through October. 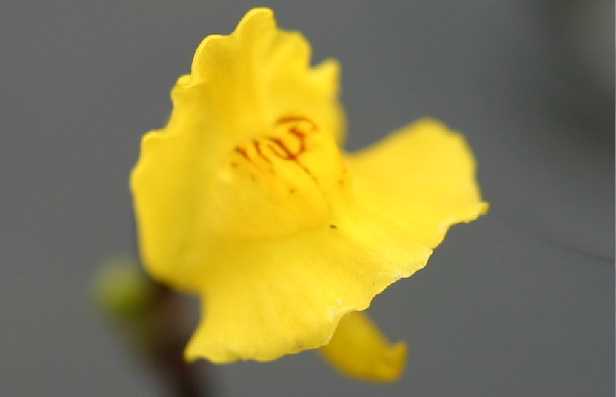 An attractive yellow flowered terrestrial bladderwort that is an easy grower and excellent bog garden associate. 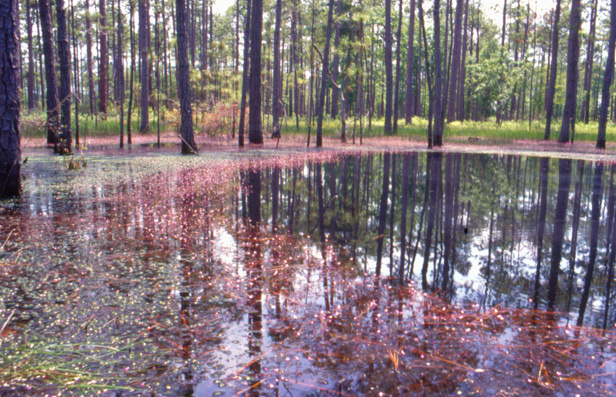 Sold as soil plugs under soil state restrictions. 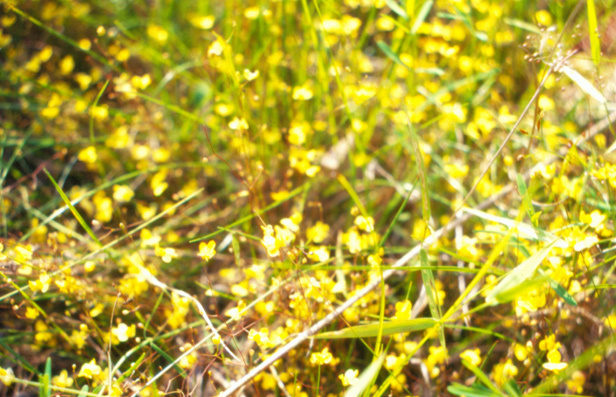 Yellow flowers, suspended above radial floats. 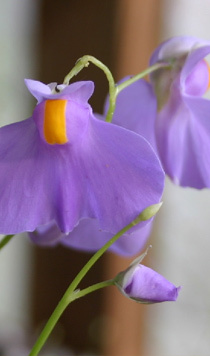 Note: Photograph are of the flower suspended by floats. 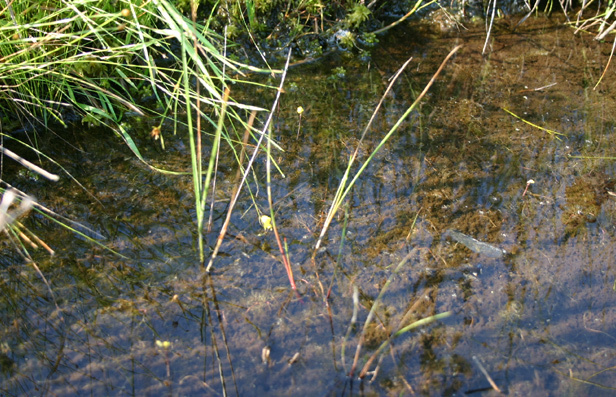 Flowers and radial floats are only produced once a year and are transient (couple weeks survival) Plants are shipped as the submerged vegetative material. Restricted from shipping to Washington State. 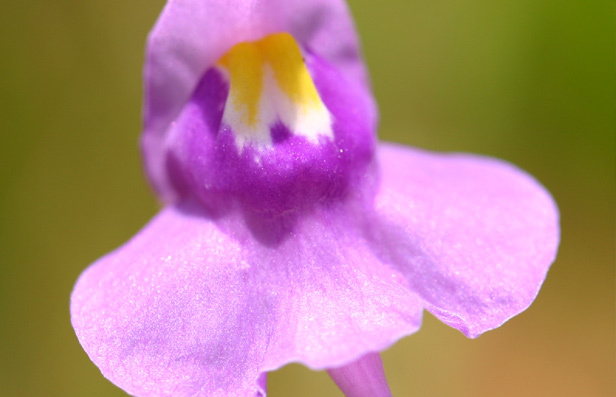 purple flowers, only available June – October. 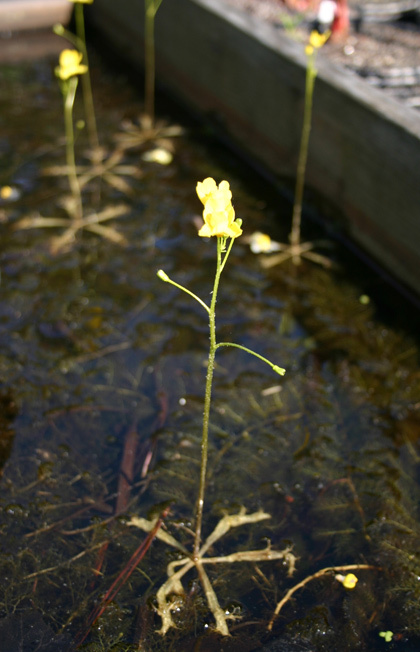 The common bladderwort is a large, branching aquatic plant that produces yellow flowers. 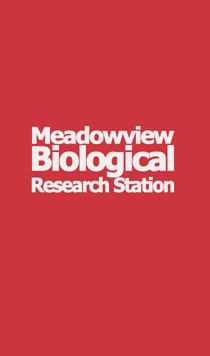 Excellent for mosquito control in slightly shaded tanks since the large bladders can easily ingest the wrigglers. 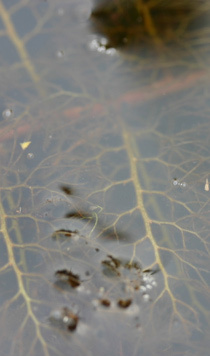 One of the most ubiquitous and easy to grow aquatic bladderworts.